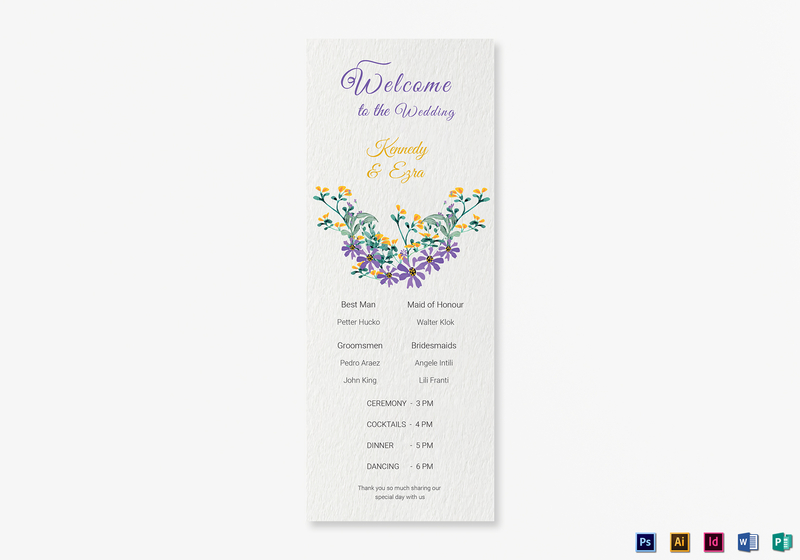 Get organized and let guests know what’s coming with this Garden Wedding Program card Template. Download today and get instant access to this amazingly elegant template. Use Illustrator, InDesign, MS Word, Photoshop, or Publisher to view and edit the template. Insert high quality photos in 300 dpi resoution and CMYK Color Space print standard. Print whenever you want, wherever you want. Purchase the complete Bundle of Garden Wedding and SAVE MORE.